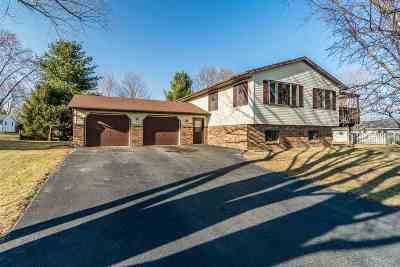 This immaculately maintained 3 bedroom home on Baraboo's East side is waiting for you! Generous layout is great for hosting family and friends and the extra large yard is perfect for everyone to enjoy. There is room in the lower level to finish for a 4th bedroom or office. Kitchen appliances, HVAC, Water Softener, Roof and Water Heater are all newer. This one owner home is flawless.